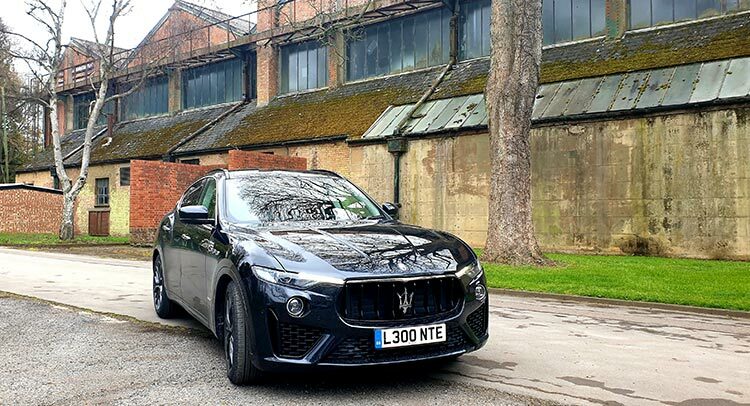 I decided to return to Helmsley in North Yorkshire, this time driving the Maserati SUV Levante GranSport V6. The reason for my return was because the week before I was driving the Ferrari GTC4Lusso T and there were roads I could not venture into for obvious reasons. Maserati is part of the Ferarri pedigree, so it was the perfect touring SUV car to review after my GTC4LussoT. Maserati has a history of naming its cars after the world’s most famous winds. 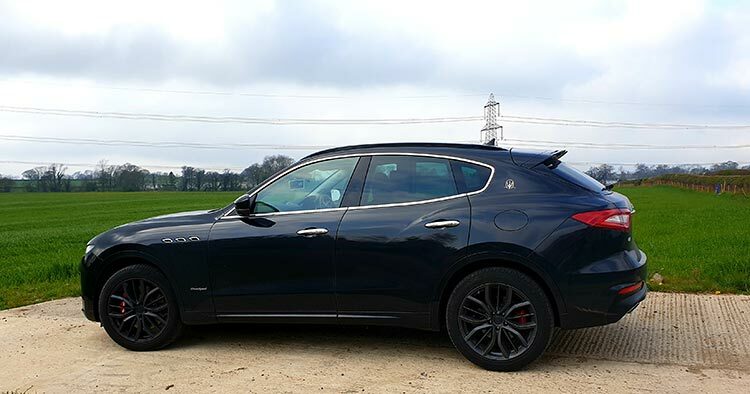 North Yorkshire is the perfect location for winds and to test drive this luxury Maserati Levante GranSport SUV V6. 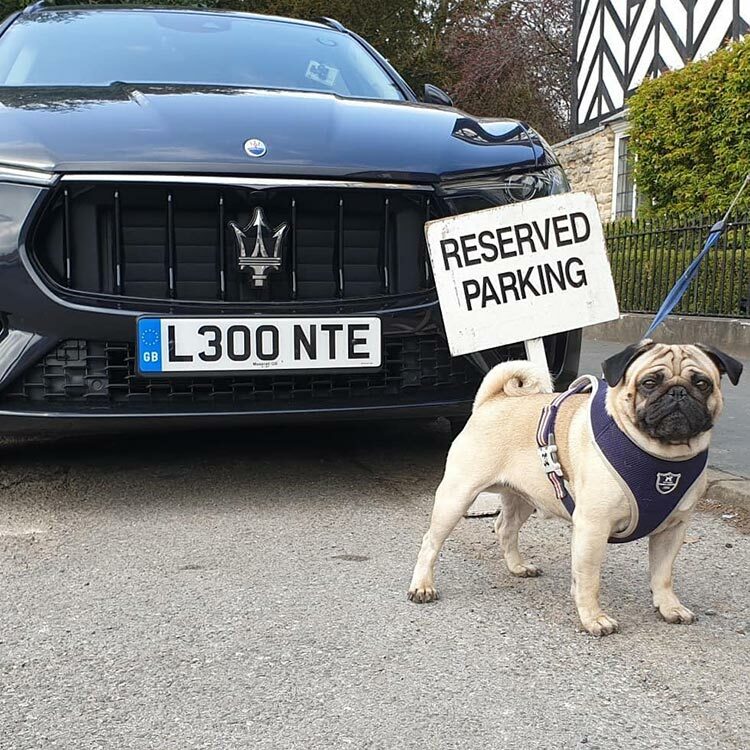 I was hosted by The Black Swan Hotel in Helmsley and ironically driving this Maserati Levante GranSport I felt like a black swan. The feel-good factor about driving this SUV was I felt exclusive and very niche. Like an Australian black swan, I live the nomadic life with erratic migration patterns dependent upon climatic conditions. Could this Maserati be my SUV wings? Maserati Levante GranSport V6 is a large SUV form the outside, it is 5 meters long but it did not feel that big inside. This is due to the long bonnet and the sloping rear end of the car. For example the Bentley Bentayga is larger outside (5.14 m) and inside but has a ridiculous small boot space for its size. The Jaguar F-Pace which is a lot cheaper is a lot smaller outside but felt bigger inside. I am not a SUV lady, they are simply a car to use all day everyday driving from A to B. They don’t rock my boat and I certainly don’t feel important or stand out in an SUV, well up until Maserati Levante GranSport. The Maserati Levante GranSport is a stylish lifestyle SUV, that stands out! What was different about this £82,790 SUV that made me feel like a black swan? What safety features did I love about this SUV? What design aspects made this GranSport imitate a black swan? How well did the SUV perform from Slough to Oxford to North Yorkshire, Wales and my final pit stop, Liverpool? So what was I going to wear whilst driving an SUV? This chic design Maserati made me feel and represent a woman who would pull up at locations such as Grand Design homes or hotels with a difference. The Maserati brothers were all about the lifestyle by showcasing their cars. 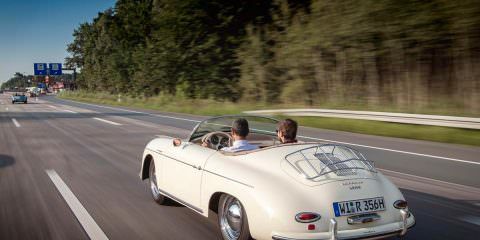 The car must fit the image of the driver, which on this occasion is a sporty and edgy way of living. This is hard to do in a flooded SUV market but it was achieved this week, thanks to Maserati Levante. I was a black swan, I was rare, and during the nine days driving around the UK, I never saw another Maserati! Right in the centre of Helmsley sits The Black Swan hotel which comprises of three houses; the black and white Tudor house on the left of the terrace, the Georgian house in the middle, and the Elizabethan building on the right, which stands on the site where an inn is believed to have been situated for many centuries. This is a hotel where all the SUV owners park their cars to showcase them including their dogs. When I pulled up in sports mode I noticed the locals staring intrigued. Throughout my stay, many guys came up looking at this black swan, the Maserati Levante. 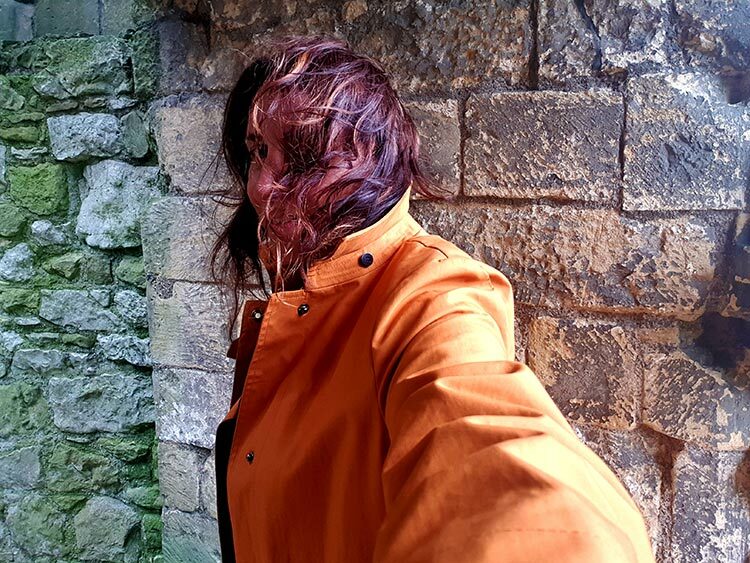 My new love destination is a historical town called Helmsley. I have managed to have got a village reputation, I was told by some locals gossipping over afternoon tea. What on earth is she driving now? So many dog owners live here in this Village cars it’s part of the North Yorkshire lifestyle. 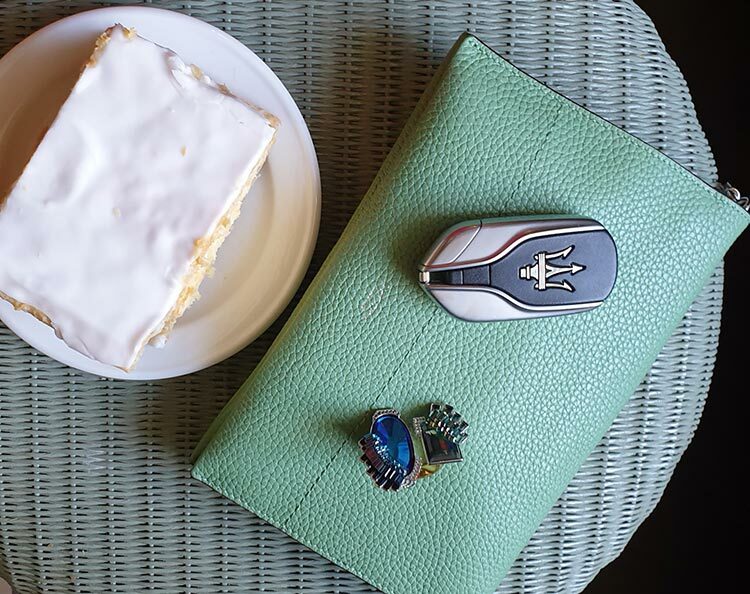 Helmsley has the best bakeries, coffee, and small business shops one could have access too. The locally produced food is wonderful and it makes for the perfect country luxury living one can have. One of the attractions to see here in Helmsley is the medieval castle situated within the North York Moors National Park, North Yorkshire. It is perfect for families turning up in an SUV needing some educational break. Helmsley city centre in the far distance. People that live in Oxfordshire have a notorious reputation of driving far too aggressive along narrow roads. I drive from Bicester to Blenheim Palace often and these Oxfordshire SUV nutters really have no idea of keeping on their side of the road, Range Rover drivers are the worse offenders. So braking fast and hard is imperative when an Oxfordshire driver comes unexpectedly around the corner. I certainly tested this in the Maserati Levante and I felt safe, Ferrari pedigree braking seemed a familiar one here. Blenheim Palace a World Heritage Site with over 300 years of history. Winston Churchill was born here! I figure people in Oxfordshire drive fast in their SUV’s to get to their coffee break destinations. 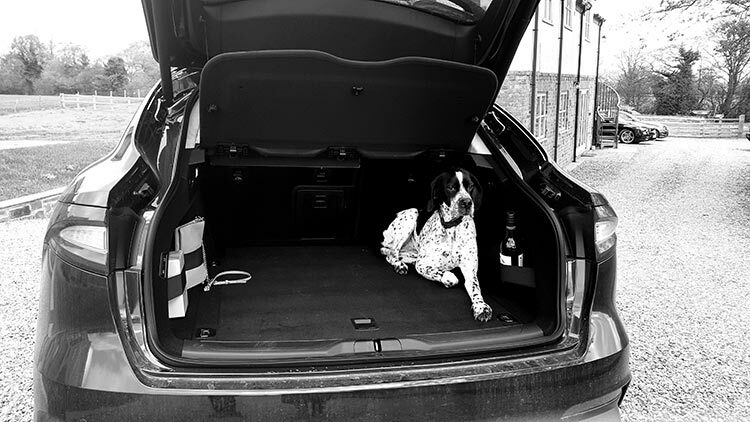 Boot space is imperative in an SUV and at this price one must have all the luxury boot space. The elastic belts for securing my wine is why the Italians have got their priorities right. Another technology feature I adored was with one kick under the boot, a sensor allowed me to open the boot, no hands needed. This was my new best friend it was great for when I had loads of bags in my hand. 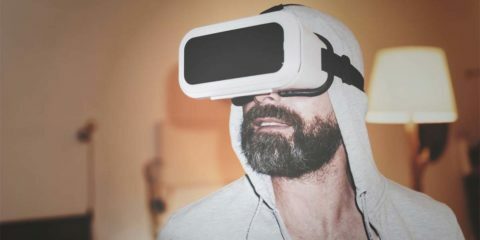 Kids find this a fun feature and more so when people are looking at me wondering what on earth am I doing? Soft close doors are an extra comfort feature that I grew very fond of. Not only due to its practicality in where I never had to return to close the door properly. 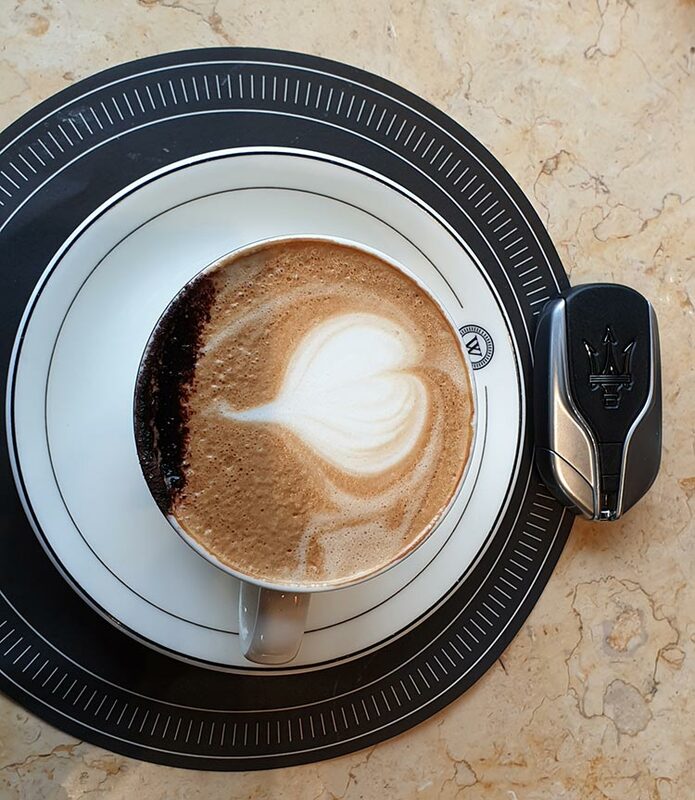 It was another touch of a classy design feature that made the Maserati experience all the more niche. Kids never close car doors properly and this is a low-stress level option I would pay extra for as a parent. The Black swans are large birds with mostly black plumage and red bills, very similar to the interior design of the Maserati Levante. I liked the design details throughout the car and the leather felt snug and cozy. The sport seats 12-way power options were why my nine days were very comfortable, the children thought these buttons were a fun game to play with. A true Maserati grand touring tradition, nothing can disturb my comfort whatever the speed. Review vision was always lovely to see in the SUV. This stylish new trim caught my eye instantly. It is high – gloss metallic meshes, and is inspired by contemporary architecture. The elegant chevron weave pattern adds to the sporty feel of the cabin. Us Italians love to wear our gold and plenty of it too. The armrest console was perfect storage for my jewellery, makeup, and small perfume bottle, easy to get access too. I always made sure I looked and smelt good before I left the Maserati. I am living and driving the lifestyle after all. 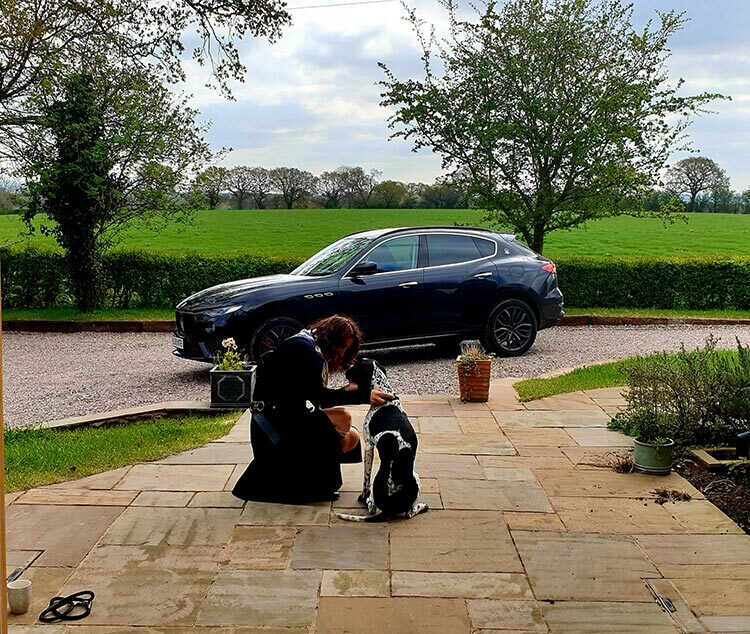 I am a big fan of Grand Design homes and for the first time in driving all the SUV’s under £100,000 this Maserati had that nostalgia about it, it was all about grand design, grand lifestyle as a family. I love my fashion and wear it as I drive and this SUV black swan did it for me. It looked great at night too! I am not a big fan of driving at night so the car confidence and technology available to me is important. Reading at night whilst driving has to be simple and stand out. The GPS features in the Maserati are simple, clear and easy to operate. I notice most mums get nervous when it comes to parking any SUV’s. They are large and on most occasion just fit into the parking bay. 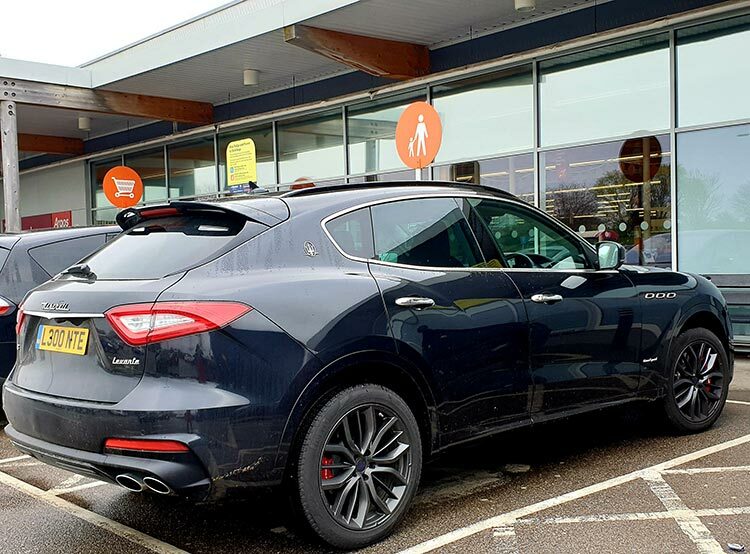 The Maserati Levante from the outside looks massive but from the inside, it is not. Parking was easy both when shopping and also on steep declines. When I am touring around the UK, there is nothing better than a good sound system in the car. It is the first time I am listening to the Harman Kardon premium sound system. Pavarotti sounded very good and so did AC-DC! Whitby – you come here and what you’re looking at is an extraordinary and vibrant 18th-century seaport town. A lot of Whitby’s famed seaport heritage is down to captain James Cook, the legendary explorer who served as an apprentice and later as a captain to the Walker family who owned an independent fleet of ships based in Whitby. Being Australian, I felt a bond for this seaside town, he also discovered Australia. Stunning Georgian houses were built by successful seamen, at the time 150 to 200 ships would have, all moored up and down the coast. Nothing can match the sport mode sound of the V6 engine in the Levante delivering 350hp at 5,750rpm and a peak torque of 500Nm. It really turned heads in every city I pulled up in. Regarding safety features there are loads, but the six airbags for me is important when it comes to keeping myself safe. Driving this Maserati I felt solid and secure in all kinds of weather. The coolest technology in this Maserati Levante is when I tried to take off not wearing my seatbelt. It is a very bad habit I need to be aware of, taking off and then putting the seatbelt on. But thanks to the Maserati, I was not going anywhere until I put my seatbelt on. The front bonnet like a black swan ready for takeoff elevates slightly to give me that seatbelt reminder warning, the car won’t move until my seatbelt is on, I loved this so much. Where I live now in the mountains there are so many Maserati’s and I now understand what particular personalities drive them. I am The Black Swan, in a niche SUV market, elegantly living the lifestyle of fashion, design, and sporty elegance. As far as SUV’s under the £100,00 this has to be my favourite. Can’t wait to drive the V8?